Today I ran the farthest I have ever run!! Joe and I had 15 miles on the training schedule, so we set an early alarm and planned a cool new route! 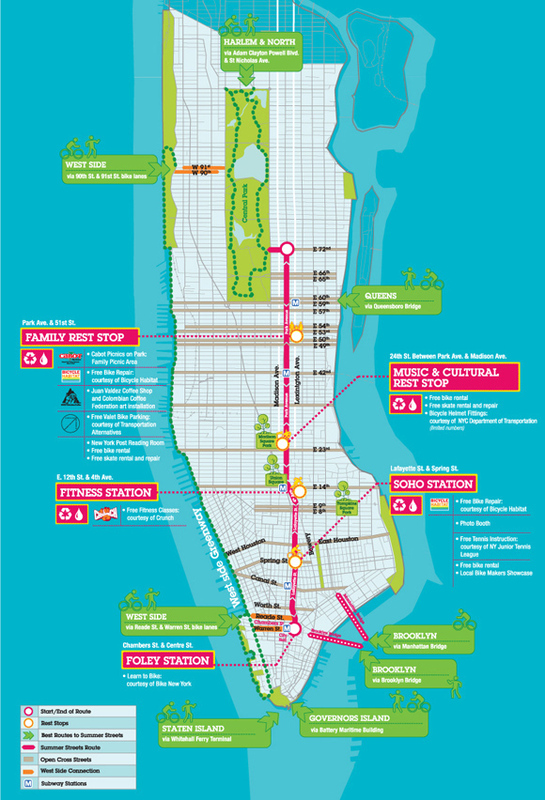 We usually just run in Central Park, or head over to the west side and run along the river if there’s time, but neither of those was sounding too appealing for 15 miles. 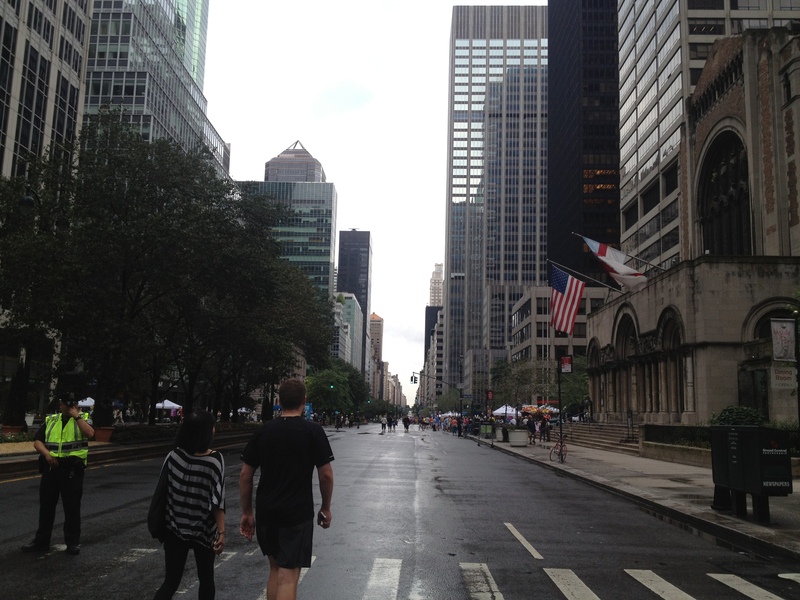 Then, I remembered that it was going to be the last day of “Summer Streets”. This happens on select Saturdays throughout the summer, where they close down 7 miles of streets down the east side of NYC. We haven’t been around for any of the other ones and I have always wanted to check it out! So, we thought we would start in the park, then hop over on to the streets and run them all the way down. When I woke up, it was overcast and a nice cool 63! Perfect! But when we walked outside it was sprinkling. I don’t mind a little rain, and actually find it refreshing, but by the time we got to the park, it was really coming down. No turning back now! We did almost a full loop of the park, but turned out at 72nd street (5.5 miles in) since that’s where the open streets started. 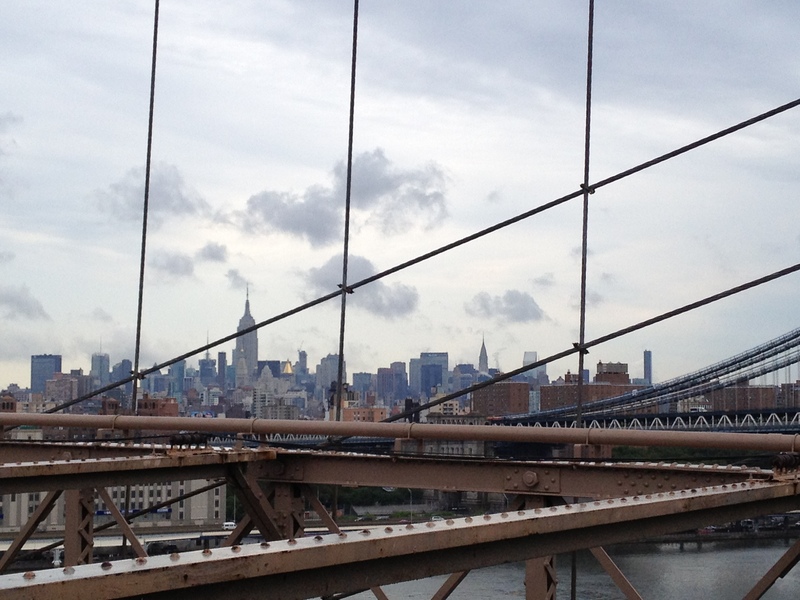 By this time we were completely soaked….but at least nice and cool 🙂 Then, we headed downtown all the way to the end of Manhattan, and over the Brooklyn Bridge. We got back into Manhattan and started heading back up Park Avenue. The last mile and a half was pretty tough, mainly because we had to stop for cross traffic a few times and it killed my legs to start back up again! We hit 15 inside a tunnel near Grand Central Station, so kept going til we got out. Soooo happy to be done! Our pace was between 8:30 and 9:30 most of the time (a couple stops slowed us a little) but I am really proud! My hair however, was not happy. It became such a knotted up mess from the rain that it shrunk in length about 4 inches and was just a huge nest of grossness…there may or may not be a rat living in it now. After a quick subway ride home, I stretched, made a protein shake and am going to do some work for a little bit. Joe and I are going to a concert tonight, so super excited about that! What do you do with your hair when you run? Ponytail, bun, braid? What was the last concert you went to? This entry was posted in Run and tagged Brookly, Central Park, marathon, NYC, run, Summer Streets. Bookmark the permalink. Yea- it was really cool to get out of the park and run on the streets! 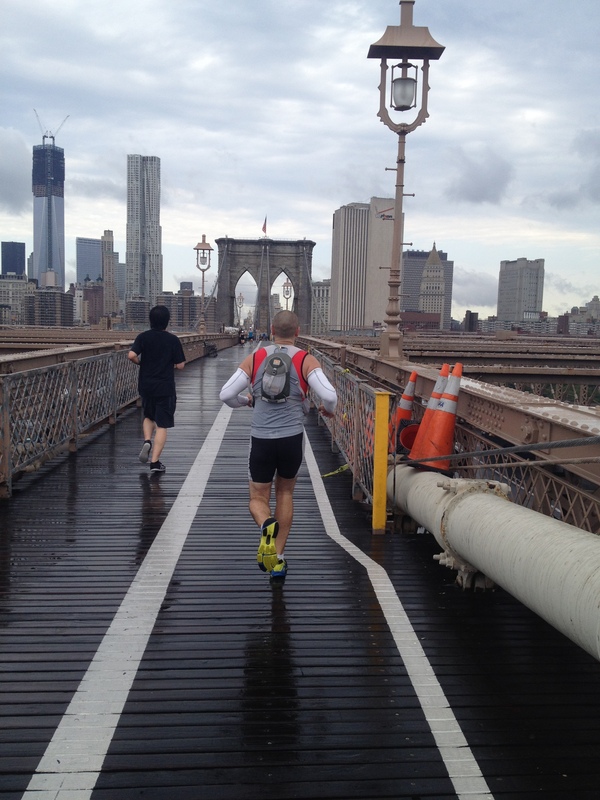 From your pictures, looks like you had awesome views throughout your run. I’m pretty jealous actually! I wanna run through NY with you!! This will be my first year doing it- super excited! If I wasn’t an ocean away, I totally would!! Haha :). I’m thinking about coming home for the rock n roll half DC in March though. Oh!!! DO IT!! I’ve heard really great things about that race! Me too, that’s a main reason why I’d love to run it! Awesome job with your run! Yes, totally makes sense- I will give it a try! Great job with your run too!